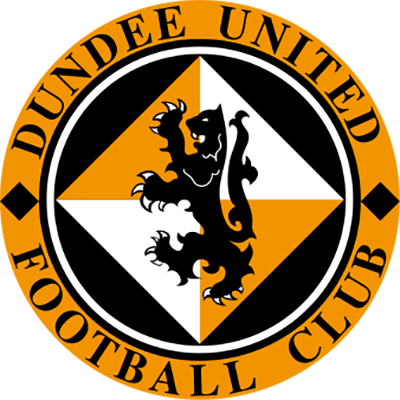 Although unlike their opponents United could have theoretically fielded a full strength team in this match, the decision had been made to treat the Irn Bru Cup largely as a competition for the reserve team. Indeed, reserve team boss Craig Easton took charge of the team for the first time, with Alan Maybury taking charge of the young Saints as first team managers Csaba Laszlo and Tommy Wright observed proceedings from the stands. Six of the United starting eleven were making their first appearance of the season, and not one of the starting line up participated in United’s previous game against Queen of the South. 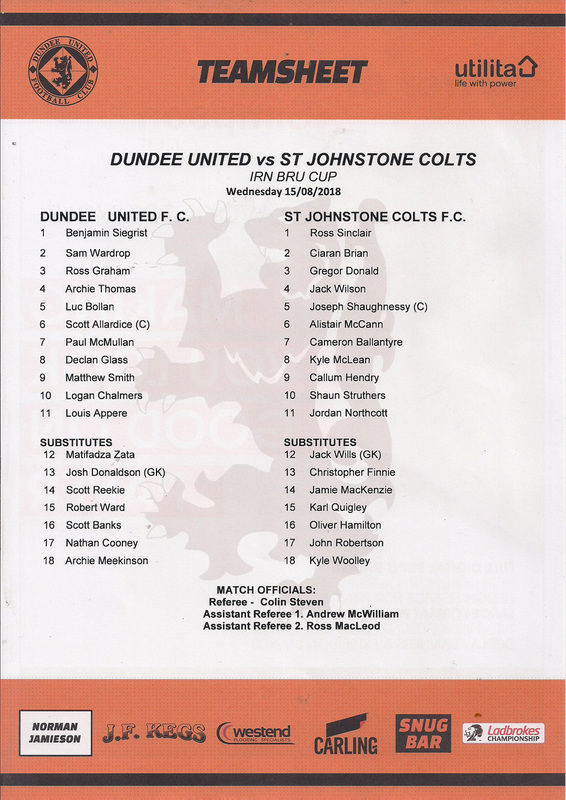 Other than Joe Shaughnessy, who was returning from a leg injury sustained while cycling, the St Johnstone line-up was even less experienced than their United counterparts. There was an early blow for United when Archie Thomas was forced off with an ankle injury to be replaced by Mati Zata, but despite that setback the home side had the better of the early exchanges. Their first chance came after 13 minutes when a good driving run from Louis Appere was crudely ended by a scything tackle from a St Johnstone defender. Declan Glass took the free kick but his shot went well over the bar. Glass caused more trouble for the away defence after a ball from Mati Zata sent him down the left hand side. Glass burst towards the goal line and sent over a lovely cross but the Saints defence were able to clear the ball before any United player could get on the end of it. Despite United’s dominance of the early stages, they went behind after 21 minutes from a needlessly conceded corner kick. 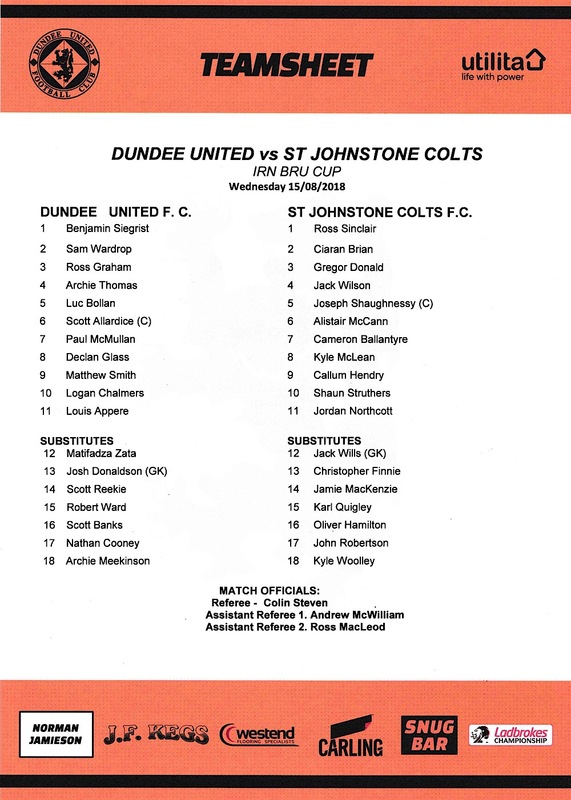 Kyle McLean sent the ball over and Callum Hendry, the son of former Scotland player Colin Hendry, planted a downward header past United keeper Ben Siegrist. The goal did not discourage the young United team, and they continued to have the lion’s share of possession. They had a great chance to equalise soon afterwards when a low cross from Paul McMullan caused panic in the away defence. Logan Chalmers met the ball first time but could not direct the ball into the net. The ball almost landed at the feet of Louis Appere at the back post, but Ross Sinclair was able to cut the ball out before it could reach him. Ben Siegrist then had to look lively to prevent St Johnstone from doubling their lead by diving to his right to palm a Ciaran Brian shot from just outside the area past the post. The second half saw a drop in the tempo compared to the first half. United in particular had not started the second half well, and were duly punished 13 minutes into the half. Ali McCann picked the ball up on the right and crossed the ball into the box. The ball was headed clear but only to where Callum Hendry was waiting. The striker took one touch to control the ball before smashing the ball into the top right hand corner of the net past Ben Siegrist to double St Johnstone’s lead. If United were not to be eliminated from the tournament at the first hurdle it was vital they got a goal back quickly, and they did. Six minutes after going 2-0 down United pulled a goal back when Logan Chalmers smashed the ball into the net from close range after the ball landed at his feet in the penalty area. The home team had all the momentum now and grabbed an equaliser with twelve minutes to go. Paul McMullan picked up the ball in midfield and after playing a one-two with Matty Smith was clean through on goal. He calmly slotted the ball past the St Johnstone goalkeeper to level the game. With only a couple of minutes to go, there was an odd moment when Ross Sinclair in the St Johnstone goal got into a terrible muddle after collecting a headed passback. The young keeper appeared to be unaware that Matty Smith was standing right behind him, and he tried to take the ball out of the box. However, Smith nipped in front of him and took the ball away before being almost rugby tackled by the goalkeeper as he attempted to make amends for his error. It looked for all the world like a foul and a probable red card for Sinclair, but the referee saw nothing amiss and waved play on to the surprise of the players and the crowd. As the match drew towards its end, it looked like the outcome would be a penalty shootout, which would have been United’s third penalty shootout in four home games. However, that situation was averted two minutes into stoppage time as United grabbed a winning goal. Paul McMullan received the ball from Logan Chalmers. The United winger drove towards the box and slipped a low shot past Sinclair and into the net from the edge of the area to give the young United side the victory.